From animal rights to mining to rising sea levels, environmental justice encompasses an immense array of issues. It is a school of thought often related to the impact that environmental degradation has on people of developing nations; those whose livelihoods are arguably more directly affected by environmental change than those in developed countries. But environmental justice has relevance here in Australia as well. We need to start asking more questions about how it can assist the managers, policy makers, and researchers trying to balance the increasing need to protect our nation’s environmental capital with the needs of a rapidly expanding population. In Natural Resources and Environmental Justice: Australian Perspectives, Anna Lukasiewicz and her team of co-editors attempt to condense a complex and controversial topic into a tidy collection of 19 chapters. With essays ranging from a discussion of what environmental justice actually is, to injustices in water access and animal property rights, this text is filled to the brim with fascinating case studies, each revealing just a little more about a topic that remains largely unexplored by the general public – even those with an interest in the environment. One difficult idea that this book tackles is how Australia can begin to confront the environmental injustices affecting humans, without inflicting injustice on other living things in the process. This is especially difficult when natural resource managers and environmental policy makers are already trying to balance the wants and needs of humans, every group of us looking for different outcomes and feeling injustices in different ways. Discussing examples of mining, forestry, and water access, the chapters of this text compare how natural resource management overseas compares to that in Australia, and how various social and political groups influence and are affected by concepts of environmental justice. So can property now be considered as something more than just a human concern? How then should we feel about those animals that make homes of our rooves and destroy our fruit trees? This is subsequently a text that inspires ideas – how can philosophies such as this help you and your community, and how might you begin to apply them to environmental issues close to your heart? This publication also raises the undeniably terrifying question of just how long it will be before everyday Australians will be severely affected by environmental injustices that are the result of climate change. Many would argue that we already are, but perhaps until the rhetorical, and somewhat literal, dam breaks and the sea waters flood in, plenty will still fail to grasp the notion that current Australian lifestyles are not perpetual. If nothing else, the fact that this book discusses how local Victorian councils are addressing issues of rising sea levels – in the here and now - should bring the threat of climate change and environmental injustice much closer to home. You can purchase your copy of Natural Resources and Environmental Justice from CSIRO Publishing. 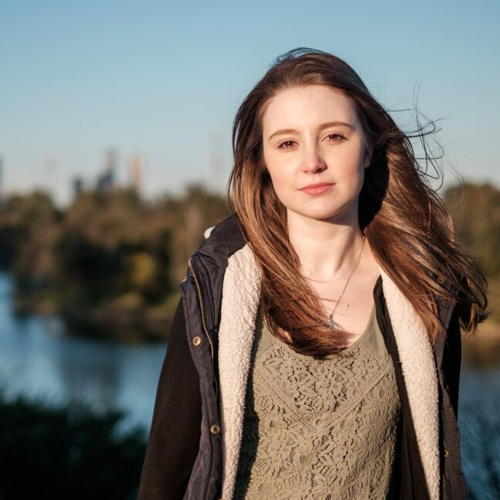 Rachel is an Arts and Science graduate and a freelance writer who is passionate about communicating the importance of the natural world through literature. She has completed an Honours year in Literary Studies, involving research into environmental philosophy and the significance of the non-human other. She is the Publications Manager for Wild Melbourne. Banner image courtesy of Stephen Edmonds [CC BY-SA 3.0 (http://creativecommons.org/licenses/by-sa/3.0)], via Wikimedia Commons.